In Scotland it's Livingston v Hibs and Dunfermline v Ayr while down south we have a derby between West Brom and Birmingham. Kevinmac has posted a preview for Livingston and Hibs and WBA v Birmingham so check them out. Girona v Bilbao, Hoffenheim v Leverkusen and Rennes v Lyon look good games and of course there is also French Ligue 2 and the Dutch Eerste fixtures. I've studying the weekend card since Tuesday so I'm better shape than usual and have finished my Daily Record columns well ahead of schedule. That's given me time to look at Friday's card and hopefully come up with a couple of bets. Dunfermline put plenty of effort into their defeat against Dunfermline on Tuesday and a more refreshed Ayr could take advantage. However, it's a massive game with Ayr winless in four and now just three points above the Pars and occupying the final play-off spot. I can see Ayr getting back on track but going Ayr draw no bet at 27-20. I'm also on a both to score treble starting at Rennes. The home side have been great this season but Lyon almost always score so should be plenty of goals here and also at Hoffenheim v Wolfsburg but the latter is reflected in a best price of 4-11. That was going to be a double but to boost the odds to just under 3-1 I'm adding Portimonense v Moreirense. This market has come up in four of both sides' last 16 and it was 4-3 in the last meeting. Portimonense's last four games have totalled 16 goals and it's 14 for Moreirense. Well done to everyone who had a winner on Thursday and remember to check out welovebetting for their latest tips and video chat. Going to jump on this early due to a great price. Serie a Cheivo v cagliari. 50 or more booking points 1.91 skybet. Both these teams are in the top 4 for collecting cards in Serie a. Bet365 have over 5.5 cards at evens yet with the skybet price it’s technically over 4.5 cards so great value. hi cyden , -1 h/c and -2 h/c means they start the game effectively 1 nil down or 2 nil down, which they have to overturn – hence the much bigger price. For your bet to land, if you bet on Fc Twente -1 h/c, Tc Twente need to win by 2 or more goals, anything less and the bookie takes your money. Betting on -2 h/c means Tc Twente need to win by 3 or more clear goals – 3 nil, 4 nil 5 nil, 4-1, 5-1, 5-2 etc. Main bet today is in 🇦🇪 and the same route as yesterday’s winners with a league that produces goals. After 17 rounds of matches the goals per game average stands at 3.42 which sees it sit 32nd of 277 listed leagues around the world on a referral site. They’ve scored 44 at an average of 2.59 per game. They’ve conceded 32 at an average of 1.88 per game. They’ve scored 20 at an average of 1.18 per game. They’ve conceded 38 at an average of 2.24 per game. H2H record has 30 meetings which has produced 108 goals at 3.6gls per match. 21/30 have seen BTTS & o2.5gls while 17/30 have seen 4+ goals including 4 of the last 6. All 8 Al-Wahda home games have seen BTTS & o2.5gls with 7/8 seeing BTTS & o3.5gls…. Few markets worth considering but I’ve plumped for match goals again personally…. Not enough goals in Costa Rica last night so 2 points lost – well done Mr H, Greg and all other winners! Looking good so far ! (end of first half). Fingers crossed. Yeah when the second last goal went in I was offered 50% of total. As it was 11 v 10 in the last game I was certain a goal was coming. Nice to have the A-league back this morning although personally think this is a tough game to bet on. Sydney look like they really don’t give a toss anymore and Le Fondre & Reza up front is a partnership that doesn’t work in my opinion. Brisbane have been poor all season but have had mixed results recently which includes a 2-1 home win against Sydney just a few weeks ago. Even their discipline has improved with nowhere near the same level of bookings recently. Great to have the A League back with Brisbane v Sydney this morning. Late on this one but took penalty/own goal bets last night. Was going to take a bet builder in-play but Calver scoring within 2mins has thrown that out the window! Night owl won 👍 but the smaller stake BTTS Costa Rica in-play finished 1-0. Great tip mate ! Tank you ! 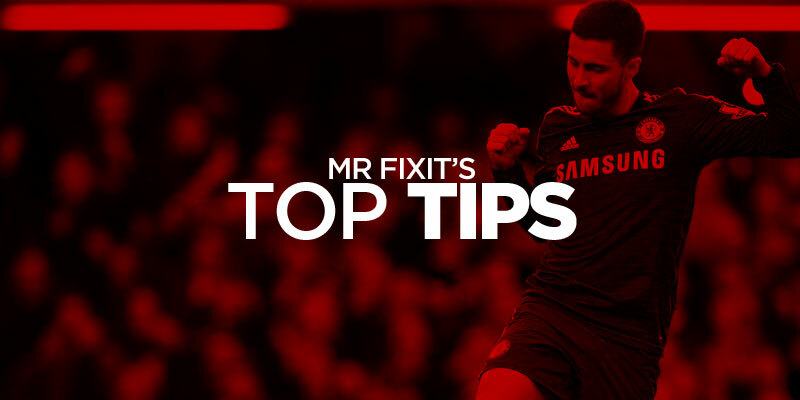 Unfortunately it’s not turned out a good tip ochroes – should’ve gone for overs as it has finished 4-0! Really thought Mumbai would score and the value was a little better than for overs. For live scores I just turn on Bet365 notifications. Have to stress that for these leagues it’s a but of fun really, e.g. for this bet I had 1/6th stake on it. Too obscure/unreliable for anything more most of the time. Brøndby vs OB in 🇩🇰 KO 6pm. 4 points seperate the two teams for a Europe league place. OB currently occupy the spot in 3rd place. So plenty to play for this evening. Brøndby are missing an experienced player in Arajuuri at the back. Other than that both teams are full strength. Should be goals here and cards I would expect. 12/15 PSV home games have seen btts, failing to score in just 2 of them and only managing 1 clean sheet which was back in September. RKC’s away games have delivered 9/14 btts failing to score in 3 games but have found the net in there last 6 away games. The h2h between these two makes for good reading. The 9 games between these two teams have been 3-5, 3-2,3-2, 4-1, 1-1,3-1, 1-2, 2-2, 3-1. This is an average of 4.4 goals per game between these two. Got on btts just before the first goal ,thanks for the Columbian and Oz shouts to I had them in a double. Van Dijk is now reportedly looking for a house after his landlord has said he’s permanently moving into the home. The landlord is Ole Gunnar Solskjaer. That will be another excuse for them if they don’t beat Spurs. Van Dijk homeless. Tianjin Teda v Guangzhou R&F was an absolutely crazy game! Finished 4:3. Great tip Vishal ! Thank you ! That`s with Hills price boost . Utilising the knowledge of others on here again to make this treble. Gonna try my luck tonight in the French league 2, all games over 1.5 goals. Gonna have a much smaller stakes punt at over 2.5mgs as well. Not expecting it to get close, it’s over 1000/1 for over 2.5mgs for a reason, so will just chance a few pennies, you never know. Rhyl recent form not good but we are a shambles and have plenty of injuries also. I’ve done the same andy, like you said you never know. Highly unlikely but got to atleast try haha. Done a bit bigger stake at over 1.5mgs as well. Ah well, got to try these from time to time. The Night Owl sees me in Paraguay for a match between two sides in poor form hence the generous prices for goals…I can see both sides netting though! 1 goal shy in France. Onwards to tomorrow! Lack of goals in the Bayern II game has let down the longshot acca but happy enough with this tonight. Some winners tonight. Keep up the good form lads. Late goals are great goals eh greg! Even greater if it`s a penalty . Could have been worse. Well done all da winners. It was a great price Greg . Well done . Toronto vs New York City should see some goals. 5 out of 6 games in for the goals acca – when your lucks not in, it’s not in! Malaga drew 1-1 and Bayer leverkusen got stuffed.